Protective underwear is a very important part of your fire-safety ensemble and can add precious time during evacuation. Custom sizes are also available! 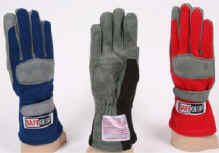 Extra Soft, flexible and SFI rated in Red, Black or Blue. Using a soft Nomex® material (including the palm) with brushed leather over the underside of the palm/fingers area and on the back of the hand, for better wear resistance. Stock sizes Medium through X-large. 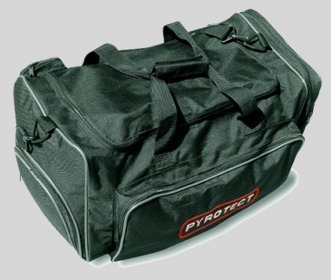 Racing gear / equipment bag, nylon, with four compartments including one for shoe storage. With hand and shoulder straps. Size 23" X 12" X 12"